While many of us often don't think of math and numbers as something that's especially important to writing fiction, there are times when it's actually very important. When it comes to things like population sizes or percentages, distances, and time, failing to take the numbers into account and think them through can create some pretty massive errors and plotholes. So here are some tips and guidelines on what you need to know and do here - and don't worry, they aren't that scary! Examples of things you should determine some numbers for. Use real-life data as a point of reference when possible. Work out your numbers by determining what's necessary. Work out what your numbers mean in the big picture. Questions to ask yourself when working out your numbers. How many people work in an organization, and in its various divisions. How many students attend school your protagonists go to. How many people live in the town your protagonists live in. How many people in a given town are werewolves/witches/aliens/whatever. 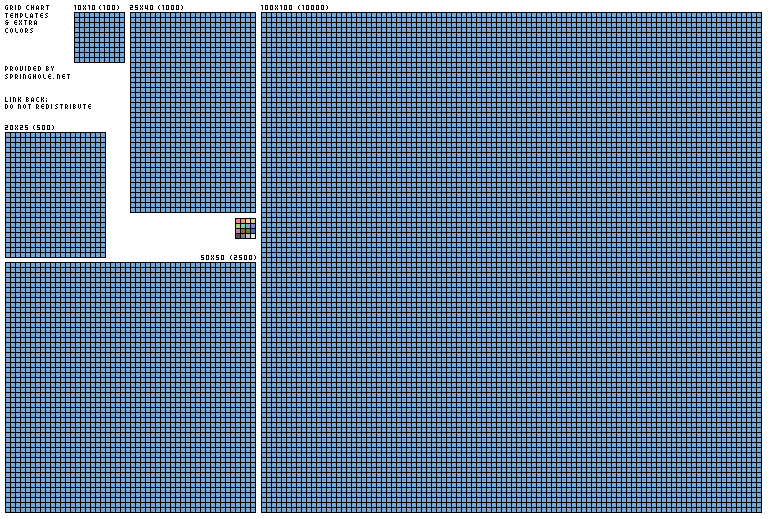 How much of the world's population has superpowers. How many people die of supernatural causes per year. How much money your characters usually have. How many offspring a fictional animal has per year, and how many survive to reproductive age. Even if these numbers are never made explicit in the actual story, deciding and keeping track of them in your notes will help you keep a sense of proportion about everything as well as help you set reasonable limitations in your world. Pulling numbers out of thin air is always risky business, as you're very likely to get a number that's far off a reasonable mark. A good thing to do instead is to find some real life numbers that relate to what you're doing, then go from there. For example, if you're planning to write a story set in a large city in a Medieval-inspired setting, go look up what kind of population constituted a large city in the Medieval period. If you're trying to write about an organization that works in a similar fashion to one that exists in real life, try to find the numerical data on that organization - how many people work for it, how many offices and branches it has, how much money it spends, etc. Trying to design a fictional animal that fills an ecological role similar to a rabbit? Go look up how many kits a rabbit usually has per year and how many usually survive to adulthood. See what other animals similar to rabbits do. Are you writing about some sort of supernatural creature that results from a certain percentage of people who die a particular way? Look up how many people actually die that way, then compare various percentages to the total until you get a number that's somewhere around what you want. Now, do bear in mind that data that applies to one area might not apply to another area. The same goes for data that was taken at least several years before or after the time period you're writing for. To make sure your numbers are as close to reality as possible, aim to find ones as close to the time and place you're writing about as you can. Also remember that numbers from one source might not be representative of an average for any number of reasons (including unusual local conditions, bad methodology in data acquisition, misleading labeling of data points, and sometimes outright dishonesty), so it's not a bad idea to cross-reference with other studies, surveys, etc. if at all possible. Many writers make the mistake of tossing out a few numbers that seem feasible at first glance without actually stopping to work out the larger implications of these numbers. For example, a writer who wants a fictional condition to be extremely rare might set the number at the seemingly-low percentage of 1%. But the reality is that 1% is actually pretty big, especially when you're talking about populations of people. For example, let's take 50,000 - the size of a not huge, but not minuscule city (think Galveston, Texas). Just 1% of 50,000 is 500. Now let's take 4,000,000 - think around the size of Los Angeles. 1% of that is 40,000 - enough to have a large town in itself. 8,000,000 - comparable to New York City? That's 80,000. Let's take 20,000,000 now - think close to Beijing. That's 200,000! So even though most people don't have this condition, there's nothing particularly rare about it. Death rates are a very common area where writers end up using wonky numbers. Whether it's people killed by vampires, spooky government agents, strange diseases, creepypasta monsters, etc., the death rates are often so high that they should be attracting far more attention and coverage than they do in the stories, or are taking such a big chunk out of the population that the world should look a whole lot different than it does. Reproduction is another area that's often messed up. It's common to have some sort of fantastic being that successfully reproduces so often that there's simply no way its numbers could be as low as the author claims, or doesn't reproduce nearly enough to keep up with its death rate and yet somehow isn't going extinct. So if and when you start putting out some numbers, put some effort into figuring out what they really mean in the grand scheme of things. A percentage calculator like this one can be incredibly useful for determining populations demographics, and you don't need much more than a pocket calculator to ballpark how many people your vampires are probably leaving dead, or how many children your magical people are going to have in a generation (though an averages calculator and an exponential growth calculator might also come in handy). Numbers on their own are abstract concepts, which makes it difficult for us to wrap our heads around them. Finding ways to visualize them can help us better grasp what it is we're trying to work with. Chart-making programs and websites can be very useful. Putting, for example, the populations or memberships of various groups can help you fully appreciate how large or small these groups are relative to each other. Google Earth can also be useful. If you determine what you want the population of a fictional town to be, you can locate a real life town of the same size, then go and look at it in Google Earth to get a sense of its scale. You can also use its measuring tools to measure distances - and if you cross-reference them with how fast your character is likely to be moving, you can get an idea of how long it might take your character to get from here to there. Creating a grid chart in an art program and coloring the boxes in to represent number values is also a good way to get a sense of proportion in your mind. Here's a template to get started. Do the numbers really need to be this high? Writers are prone to setting their numbers far higher than necessary, often to the point of straining or breaking credulity. Ask yourself if the story honestly necessitates the numbers being this high, or whether you could shave them down considerably and still have it work. If you can, it's pretty likely you should. Are these numbers really sustainable? For example, if a group is very small (say, one with under half a dozen members), what's to stop someone with some decent tactical sense and a lot of determination from destroying it in one fell swoop? How are they supposed to recover and carry on if only half of them are destroyed? For another example, is it really possible to take that many people out of the general population over that long of a period of time and still have a functioning society left? If it's going to play a significant role, have a measurable impact on the world, or is otherwise going to be prominent or noticeable, you should determine some numbers for it. When possible, use real-life data as a point of reference. This will help you determine more reasonable numbers than otherwise. Just be aware that some data is outdated, is taken from the wrong area, or is flawed in some other way. You can also work out reasonable numbers by determining what's necessary to make something work - EG, how many jobs or functions does a given organization or group need filled? When possible, use visualizations to help you get a better sense of scale and proportion for your numbers. Ask yourself whether your numbers might be needlessly high. If they are, you should probably reduce them. Ask yourself whether they're sustainable - are they so low or so high that catastrophic consequences would likely result somewhere? And ask yourself what happens in real life when you have a similar scenario with similar numbers.